We know it’s important to keep your employee data updated. This application note describes how to connect to your SAP HRMS using the OrgPlus import wizard. 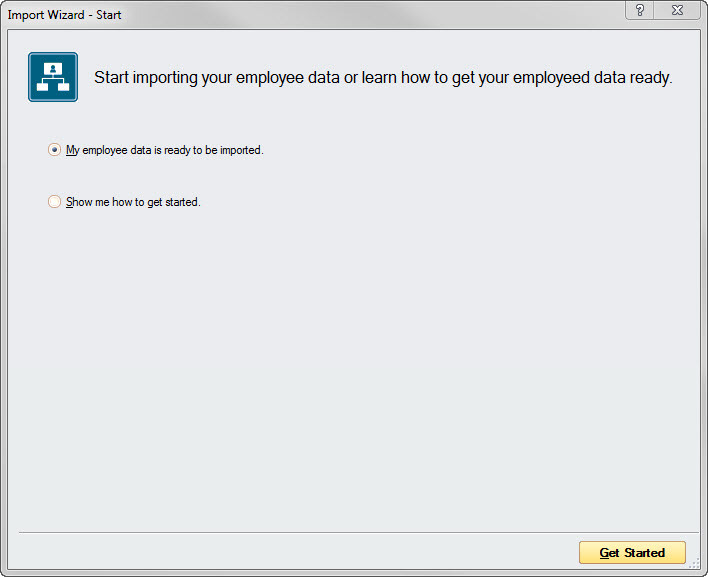 Once connected, the import wizard will help you import your employee data from SAP. 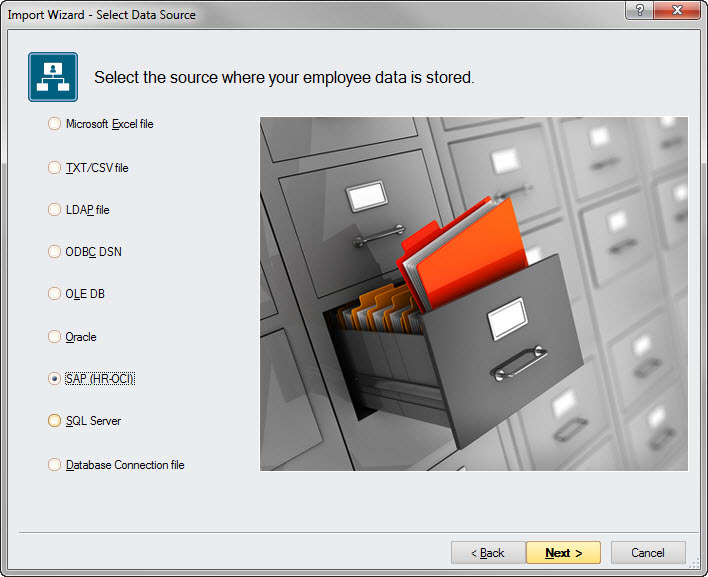 OrgPlus Professional or Premium – Version 9, 2012, or Version 11. 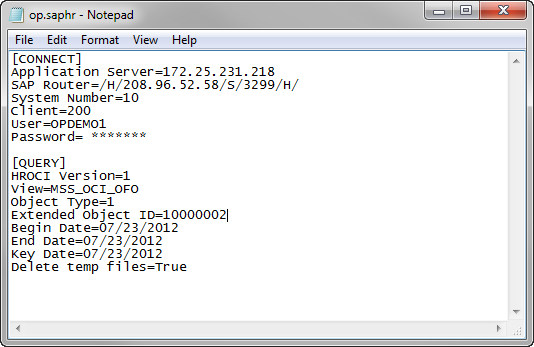 Established connection to the SAP Server using the SAP Client. Microsoft .NET Framework version 2.0 or higher on the same machine as OrgPlus. mySAP ERP version 2004 or higher. HR-OCI version 4.6 or 6.0. Click Import Data. The Import Wizard will open. See below. Click Get Started. You will be prompted to select the source of your employee data. See below. Click Next. The SAP Connection Wizard will appear. See below. Note: You must have the SAP Client and OrgPlus installed on the same PC otherwise you will see the error dialog box below. 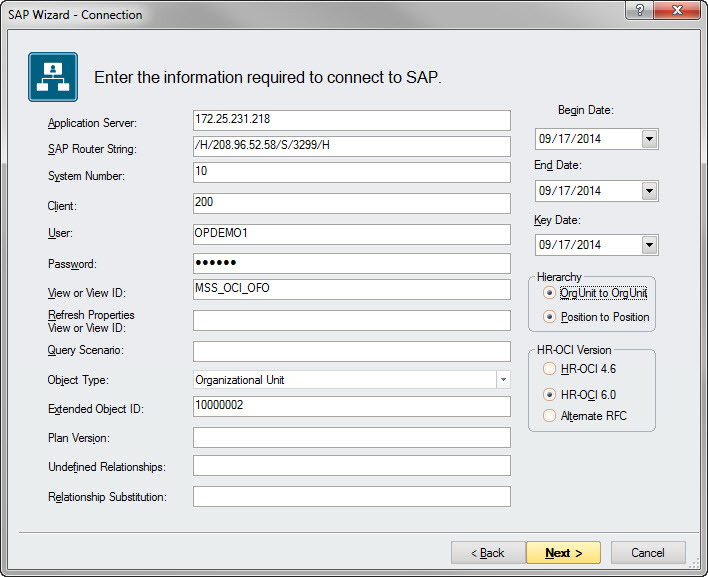 Complete the SAP Wizard connection form. Field name descriptions are shown below. The first 6 items (Application Server through Password) are the same as your SAP Client configuration. This data tells OrgPlus how to access your SAP Environment. Required: enter the name or ID of a previously defined SAP view or a default view. The view ID determines the Organizational Management objects that are returned by the function module. Optional: enter the name or ID of a previously defined SAP view or a default view for setting your refresh properties. Optional: The optional query scenario parameter specifies a set of SAP queries that can be used to read additional data on the Organizational Management objects that are specified through the evaluation paths in the view ID. Required: must match the Root Object Evaluation Path specified in the SAP View creation step. Object types group similar data together. The five basic building block object types are: organizational unit, job, position, cost center, and person. The default for SAP is Organizational Unit. Required: The ID of the desired root object of the charts. This ID must match the object type specified in the SAP View creation step. Optional: Use these fields to take advantage of SAP’s effective dating functionality. If left blank each defaults to the current date. Choose between OrgUnit to OrgUnit or Position to Position hierarchy. The default organizational reporting hierarchy for SAP is OrgUnit to OrgUnit. Select the HR-OCI version that you’re using. Alternate RFC. This requires custom setup in SAP. Please contact your SAP consultant for information. Contact Insperity Technical Support for download instructions. Click the Next button to test the connection to the SAP system. You will get a response indicating either that the connection was successful or that it failed. If unsuccessful you will receive a Connection Failed dialog. Click the View Log button for information regarding the problem. If successful you will see the SAP Wizard Result dialog box. OrgPlus will prompt you to save the configuration file as op.saphr. Now that you have successfully connected to your SAP system, you can complete the remaining steps in the OrgPlus import wizard.